Are you happy with dentures? If not, why not consider dental implants? Dental implants are an incredible invention in implant dentistry! Though dentures are a time-tested way to replace a missing tooth, they have their drawbacks as well. The benefits of teeth implants far outweigh the benefits of wearing dentures, traditional bridges or living with missing teeth. Dental implants Melbourne is a metal post that is surgically placed into the jaw to act as replacement tooth roots. They are then topped by dental restorations like crowns, bridges or dentures to form fully functional replacement teeth. After getting dentures, you might have noticed a significant change in your diet because dentures make it challenging to chew your food and some hard food or chewy foods are off the table entirely. Moreover, dentures do not allow you to bite with full force like your natural teeth because they are not rooted in your jawbone, and they may slip. Tooth implants Melbourne are a biocompatible screw that naturally fuses with your jawbone providing a sturdy foundation to hold replacement teeth. With dental implants, you can expand your diet to include all of your favourite foods again. Have you ever felt your dentures slide or shift while you smile or talk to someone or eating? Well, tooth loss is not something to be embarrassed about. But still, you may be embarrassed when your teeth are visibly moving around your mouth. When you have a permanent solution for a missing tooth, why can’t you utilise it to avoid such embarrassment? Get dental implants and smile with confidence, talk without covering your mouth and eat what you like without the fear that dentures may pop out. Dentures can decrease the jawbone quality over time and can lead to further deterioration of the facial structure. Dental implants Melbourne are the only tooth replacement option that also replaces jaw bone stimulation that helps to prevent bone loss. If you are wearing dentures, probably you might know how hard is to maintain and clean them. Dental implants do not require any special product to clean or care for them like dentures. There is no need for cleansing solutions, cups, adhesive or special flosses. You can just brush and floss twice in a day just the way you would with your natural teeth. Dentures do not look like natural teeth. Dental implants are available in a wide variety of shapes and sizes. The dentist will work with you to design an implant that matches the colour of your surrounding teeth and fit perfectly in the gap. Nobody can find that you are having artificial teeth unless you reveal it. These are the reasons why you need to consider getting dental implants. 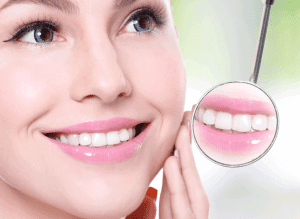 If the price of this dental treatment is the only concern, speak with your dentist about payment plans to reduce the dental implant cost in Melbourne.